Khloe Kardashian's Good Mama jeans for Good American, Britney Spears for Kenzo, Zendaya for Boohoo, and more celebrity products we know you'll be obsessed with! 1. Khloe Kardashian's incredible denim brand Good American now includes Good Mama – a collection of jeans for new moms and moms-to-be to look and feel great in during pregnancy and beyond. Tell me more: The low-rise and mid-rise styles jeans feature supportive elastic side inserts and waist bands. If you're further along, the home stretch-style jeans do not have a waistband, but rather a full belly band that stretches and provides cozy coverage for you and your bump. Shop the Good Mama jeans starting at $149 and the entire Good American brand. 2. Zendaya and Boohoo's 50+ piece size-inclusive collection (handpicked by Zendaya herself) features denim, tops, dresses, and more. Tell me more: The handpicked items appeal to a wide-range of tastes – whether you prefer to dress it up or down, to look casual or to look like you just walked off the runway, this collection has something for everyone. And with sizes ranging from 2–22, a variety of body types are really kept in mind. Shop the Zendaya edit starting at $12 and the rest of the amazing Boohoo site. 3. Rihanna's Fenty Puma line is getting ready to unleash new items for the spring/summer season including fitted race jackets (pictured on RiRi herself below), and Avid sneakers that you're basically gonna want to wear every single day. Tell me more: The first installment in the new seasonal items begins with the sneakers. Meanwhile, pieces like the racer jacket are expected to arrive in the summer – July 3rd to be exact. While you're keeping an eye out for those, you can check out the rest of the collection on Puma. Shop the Fenty by Rihanna collection starting at $35 on Puma or Asos. 4. Reese Witherspoon's Draper James and plus-size clothing brand Eloquii paired up to offer a beautiful, seasonal mix of dresses, blouses, skirts, and more. *AND* Reese's daughter, Ava Phillipe recently modeled Draper James' gorgeous Belted Chambray Shirtdress, and now we all need to get one. 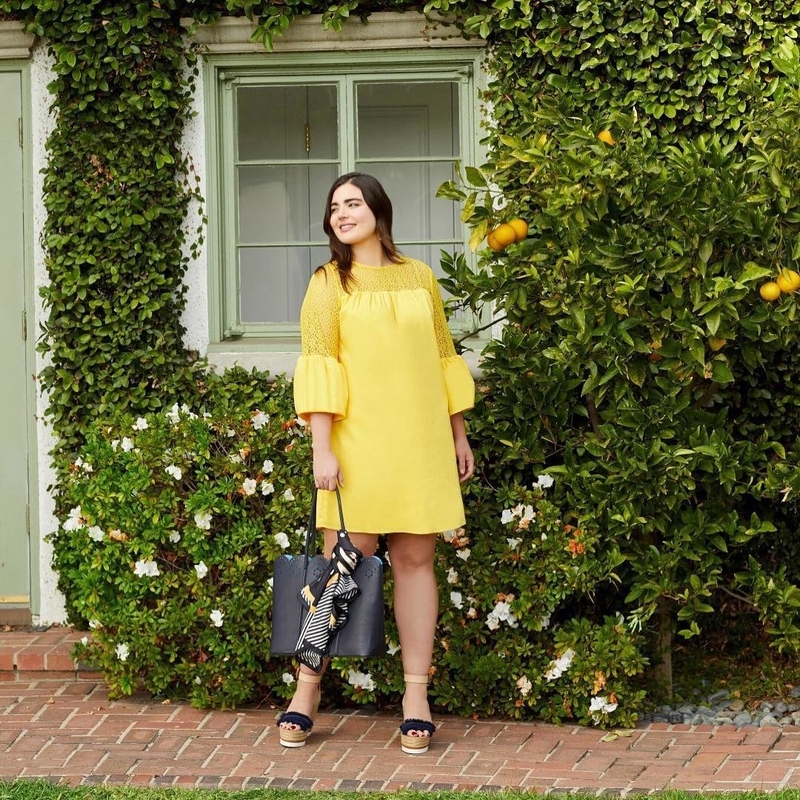 Tell me more: The Draper James and Eloquii pieces feature bright colors, adorable patterns, and elegant styles that are great for wearing to work, Sunday brunch, or just going out and about day-to-day. Sizes range from 12–28, and cuteness level is infinity. Shop the Draper James x Eloquii collection starting at $28. Be sure to check out the rest of the items at both Draper James and Eloquii. 5. Kylie Jenner's beloved Kylie Cosmetics now boasts a weather collection and, while it's not confirmed, rumor has it the theme is inspired by her newborn daughter Stormi. 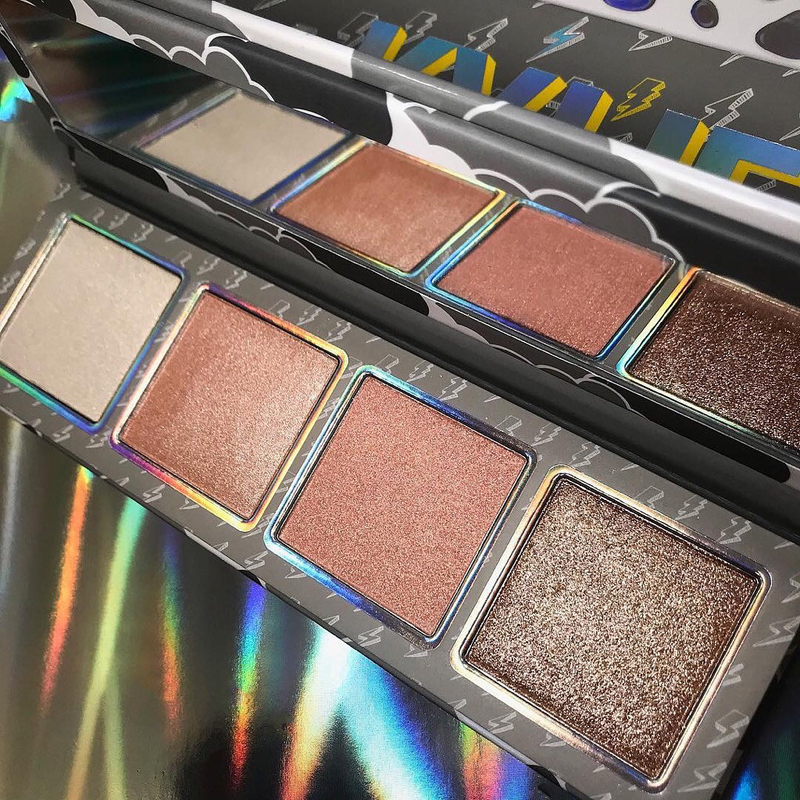 Tell me more: The theme is kept consistent in the line of products for the weather collection – Calm Before The Storm eyeshadow palette, Eye Of The Storm eye shadow palette, and Cosmic and Nightfall matte lipsticks are just a few of the offerings, (with a clear emphasis on the word storm). Shop the weather collection starting at $14 and the entire line of Kylie Cosmetics. 6. 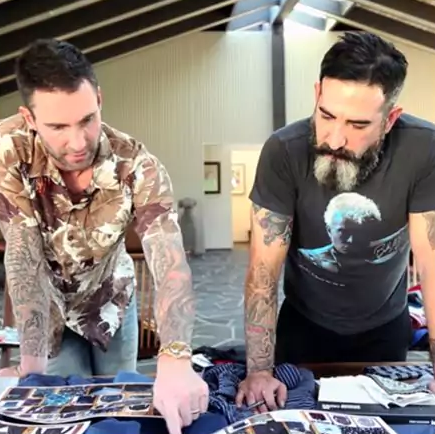 Adam Levine has a new collection of spring clothing with Kmart that offers a little bit of everything for guys and gals alike and won't burn a hole through your wallet. Tell me more: The affordable line features stylish men, women, and juniors clothing that is trendy, comfy, and oh yeah, did I mention affordable?! Some of our favorites from the line include a men's printed poplin shirt, a metallic graphic twofer dress, and a smocked crochet trim romper. Shop the Adam Levine spring collection starting at $4.99 and all the other wonderful things Kmart sells. 7. Britney Spears is the face of Kenzo's Collection Memento N°2 – a line emphasizing comfortable, but chic pieces to set you apart from the rest. Who better than the legendary princess of pop to represent all of that? Tell me more: Sweatshirts, denim, and rad shoes are just some of the various items to peruse in the collection. You can get the cropped "bamboo tiger" sweatshirt Brit is wearing above right here. Shop the Kenzo x Britney Spears collection starting at $95 and everything else at Kenzo. 8. Miley Cyrus is repping Converse's Forever Chuck campaign. The message behind it is that no one stays the same and everyone is different, so your shoes should be too. Tell me more: There's an array of colors, textures, and heights in the shoes chosen for this campaign so you're bound to find one you like. Miley is the perfect choice for a campaign that's all about change and picking the shoe that's true to you and your unique personality. Shop the Miley Cyrus Converse collection starting at $39.97 and all the other amazing shoes at Converse. 9. Selena Gomez recently announced that her second collection with Coach is coming out this fall and is going to feature the incredible accessories you've come to know and love *and* trendy clothing options. Tell me more: An official date and further information has yet to be released, but until then, you can shop Selena Gomez's current products and Coach faves. 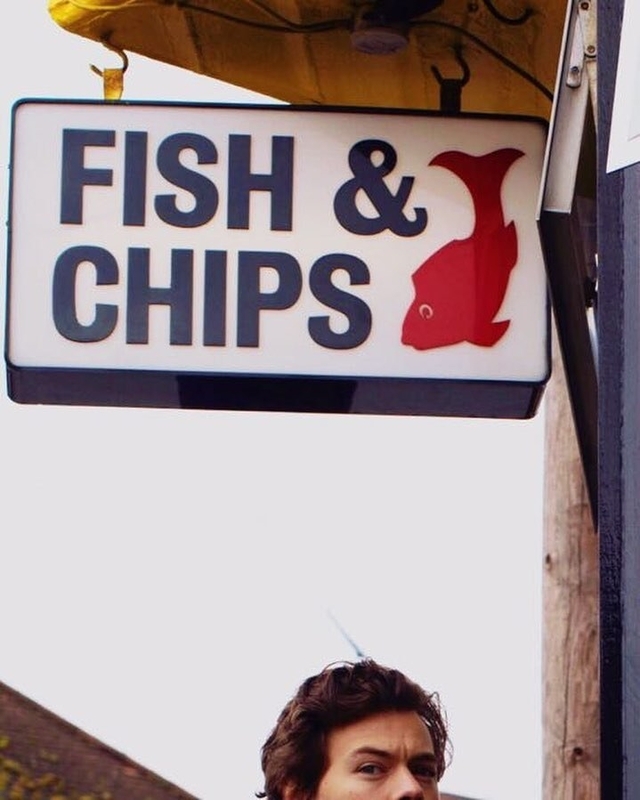 Some of the things we love? Parker with Colorblock Quilting and Rivets, Selena Heart Bag Charm, and the Sharky Intarsia Sweater. Shop the Selena Gomez for Coach collection starting at $50 and everything else at Coach. 10. 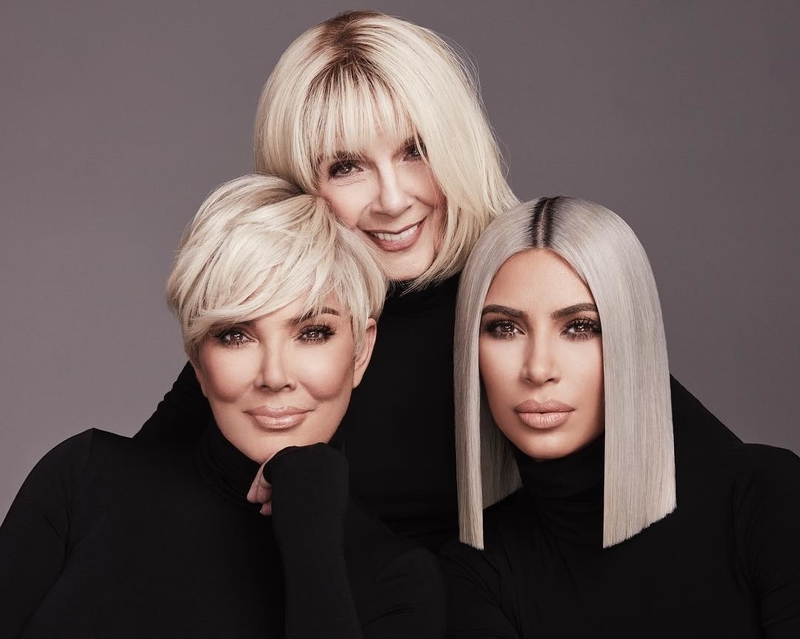 Kim Kardashian's makeup line KKW Beauty is doing some exciting stuff. It was recently praised for its (now sold out) concealer kits that were available in 16 different shades. But now she's getting to drop an epic collab with celebrity makeup artist Mario Dedivanovic. 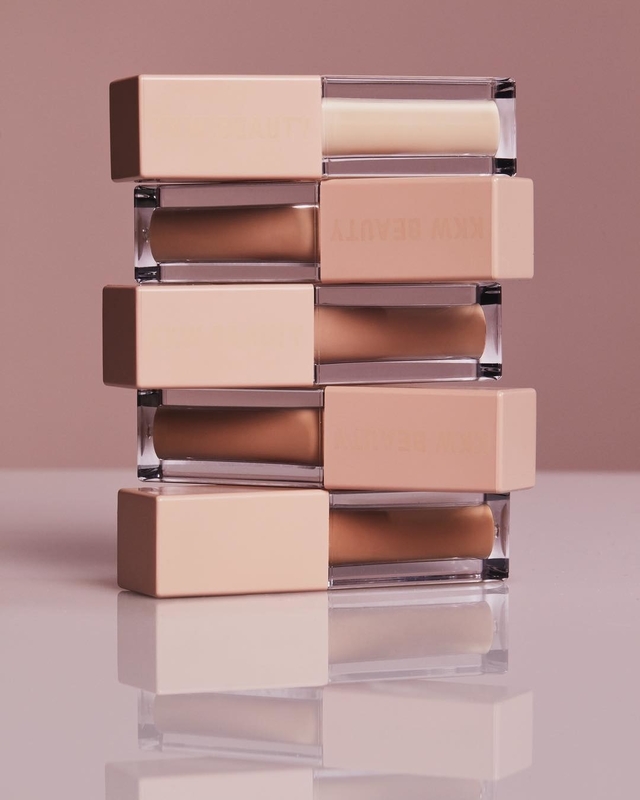 Tell me more: While the concealer kit, liquid concealer, and baking powder, and brightening powder are currently sold out, you can sign up for updates and shop other concealer-related products . As for her upcoming collab – the collection is slated to launch on April 5th, which just so happens to be the ten year anniversary since the pair met. The products are inspired by the duo's most iconic looks, so you definitely want to keep your eyes peeled for that. Shop all of the amazing things on the official KKW Beauty website. 11. Ciara is the brand ambassador of Pandora's new Shine collection – a variety of beautiful 18k gold-pated sterling silver jewelry. Tell me more: Bracelets, charms, necklaces, and rings, and more pieces are just some of the stunning options to look forward to adding to your collection. Meanwhile, model Hailey Baldwin teamed up with the brand through a Vogue collaboration to pick some of her favorites from the line including the sliding bracelet and the honeycomb lace dangle earrings, just to name a few. Shop the Pandora Shine collection starting at $20 and all the other beautiful pieces of jewelry at Pandora. 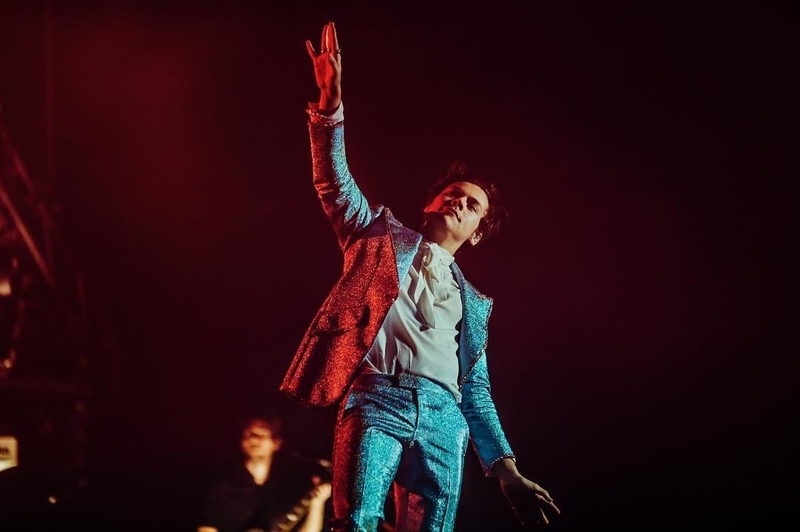 Tell me more: The campaign has yet to be released, and a date has yet to be announced, but if you're curious about the king of wearing Gucci suits every waking second of his fabulous life, he's often founding sporting exquisite Gucci numbers by designer Alessandro Michele. Shop the entire brand on the official Gucci website or on Nordstrom. 13. Tretorn's "I Andre Benjamin" collection includes shoe designs Andre 3000 himself hand-sketched, featuring both sneakers and sandal styles for everyone to enjoy. Tell me more: The shoes in the line feature simple but unique designs in a broad range of colors and styles. Many of the shoes are available in both men's and women's sizing options, so you're bound to find ones that you like. Shop the "I Andre Benjamin" collection starting at $120 and the entire Tretorn brand.